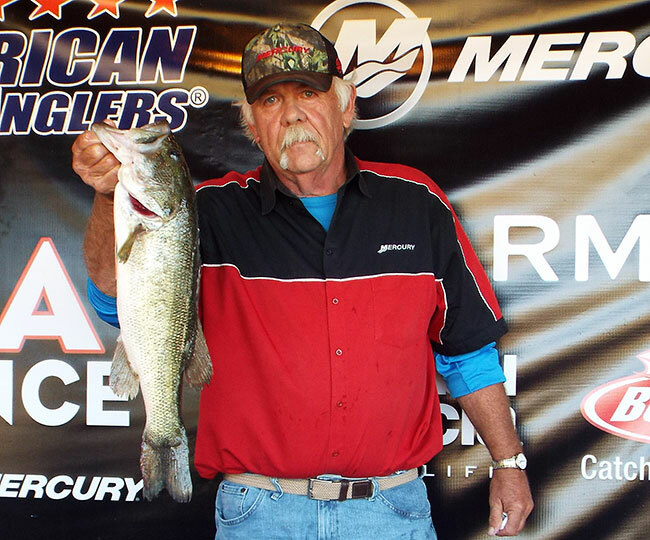 ATHENS, Ala. – The 2018 American Bass Anglers American Fishing Tour National Championship is underway on Lake Hartwell near Anderson & Greenville, SC and the first day has come to an end. On October 24th anglers were met with a clear day and a chance to fill their live wells and head into day two with weights on the board. 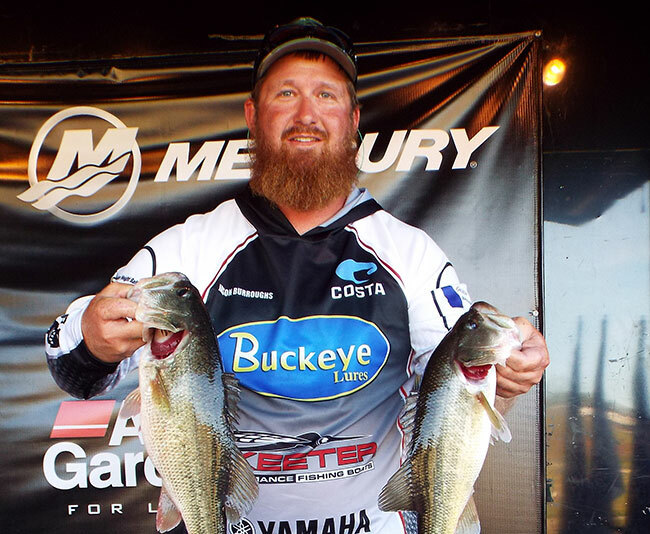 Jason Burroughs of Hodges, SC took the event's initial lead over a field of over 275 competitors with a total weight of 13.28-pounds from a 5-fish bag after his first day out on the lake. Burroughs looks to continue his lead into tomorrow. Landing in second place for the first day is Russell Clark out of Abbeville, SC. Clark also brought in a 5-fish limit bag totaling in at 12.46-pounds. His weight was anchored strongly with his biggest bass of 4.34 pounds. Less than one pound out the top spot, Clark is in a good position to make a run for first place going into the second day of the event. In third place for the day is Joe Toth, out of Richmond Hill, GA. Toth came across the scales today right behind second place with a limit of fish totaling in at 12.29-pounds. Toth did not weight a big bass today but had a level quality group of bass. Toth had to make some adaptations today to acquire his catch. “The early fog kept me from doing what I really wanted, but I managed to find active fish on several points. Most of my catches were accomplished using topwater baits and various plastics, and I only culled about 4 times. Throughout the day, I caught about 25 bass overall, but most were spotted bass under the size limit that I could not keep. The majority of my keepers were caught only about 5 miles from the launch ramp, and the rest came a little upriver,” said Toth. The largest bass of the day among all competitors was caught by David Huie from Dallas, GA. His overall bag totaled 12.23-pounds, which put him in 4th place for the day. However, that largest bass was a long and skinny bass weighing at 4.73 pounds. Multiple prizes are up for grabs as the result of this Championship Event. Three Triton TRX boats will be given to the overall winning boater, non-boater, and top Angler of the Year from all divisions. An additional 100% side pot is also available for the biggest bass caught each day, set at a daily $2,750! The field of championship anglers launched out from Green Pond Landing in Anderson, SC at 7:30 am on October 24th and began checking in for weigh-in at 3 pm EST. Look forward to another eventful day of fishing competition on Lake Hartwell as day 2 takes off on October 25h. ABA is sponsored by Triton Boats, Mercury Marine, Sirius XM Marine Weather Radio, GEICO, Garmin, Power-Pole, T-H Marine, Hydrowave, Maui Jim, Abu Garcia, Berkley, MotorGuide, and Optima Batteries.